In order to reward your loyalty, IOMA offers you the possibility to register the 6 digits (alpha numerical) reward code printed inside of your product packaging. The product points will be credited to your reward membership account. 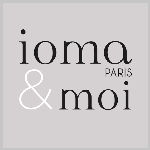 The code is valid for any purchases done in any IOMA registered store, in the IOMA Paris Boutique and in the online shop IOMA-PARIS.com. Purchasing your IOMA products online at IOMA-PARIS.com, you can double the quantity of collected reward points. They are credited a first time automatically after your payment has been confirmed and a second time when registering the 6 digits code inside your IOMA product pack. Do you have a code in your product box? We are verifying your code. This process can take a few seconds. We are adding the points to your reward membership account and will refresh your page in a few seconds. Your code is not valid! Try again with another code. Your code has been already used! Try again with another code. Your code is valid ! It matches with the IOMA product : . Please validate and we'll credit points to your membership account.